A sequence of my photographs are featured in the current winter issue of Alaska Parent Magazine piece on creative newborn photography. You can see the whole article here. The more important point of this post, however, is that my friend Ali is a genius. She knew she wanted to do Catch Me If You Can sessions for her soon-to-be third baby, but then she had another thought. She asked if she could use the year-long CMIYC package (5 sessions) to document her pregnancy as it progressed - and my response was, WHY HAVE I NEVER THOUGHT OF THIS BEFORE? It was so much fun to document this special chapter. Of course, the sibs stole the show…but with that kind of cuteness, how could you go wrong? If you would like to purchase a year-long Catch Me If You Can milestone package of 5 sessions, you can find more info here or contact me to book! It has been such a privilege to watch these boys grow. A Mother + Child session to melt your heart, taken during last summer's Little Sessions in Alaska Peony Flowers' fields. And a shameless plug: this year's little sessions in the peonies will be coming up in July! Make sure you're on my mailing list to be first in line to sign up once booking opens. I was so happy that I had not one, not two, but three clients who decided to use last summer's "Little Sessions" in the peony fields at Alaska Peony Flowers as Mother + Child Sessions. Leah, Sam, and Teddy are first up. I can't look at this session without smiling so much it hurts my face. What about you? Dark January mornings have nothing on this duo. 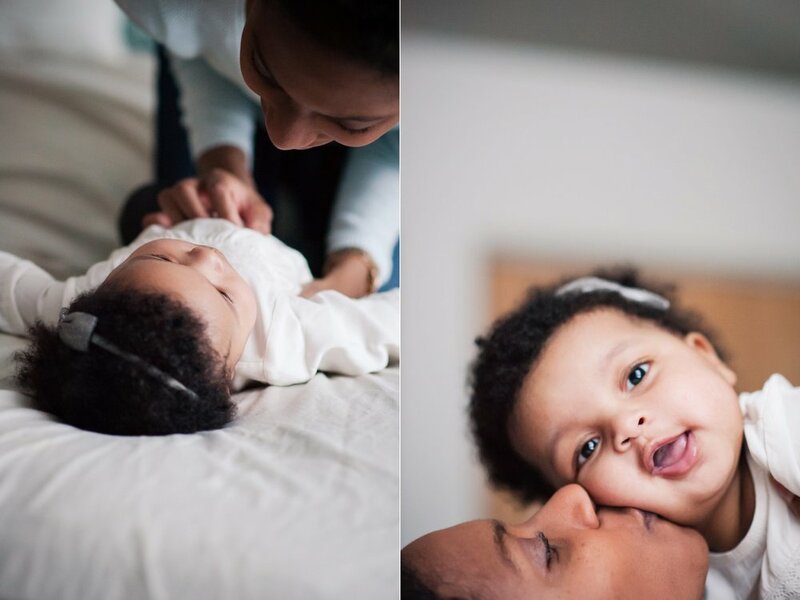 A Mother + Child session in a cozy kitchen, featuring Somer, Birdie, and a post-nap Samson. To celebrate his first half-revolution around the sun, Kristen and James had a Mother + Child session during the little spot of daylight February offered. What a beautiful bookmark in his first year of life, don't you think? I think every photographer in Alaska faces the gravitational pull of BLAH near the middle of winter, when the light wanes and it seems like day will never again last more than three hours.